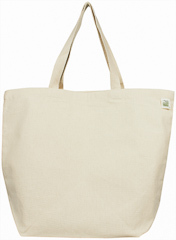 The ECOBAGS Piermont a NEW line of tote made with recyced cotton and jute material. Our first Piermont release is a shopping bag made with 10 oz. 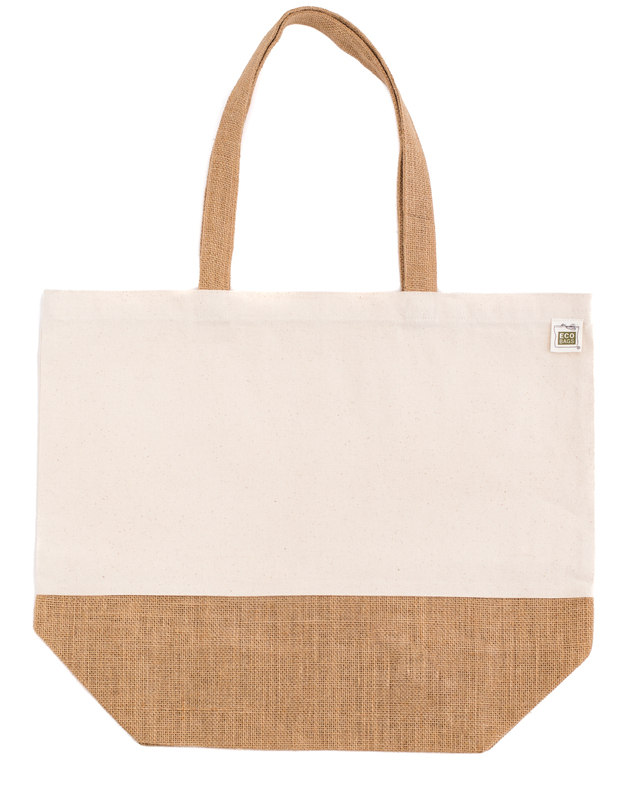 recycled cotton with an accent of natural jute on the gusset and handles. Capacity: Can hold more than a full grocery bag. Care Instructions: Blot affected area with cold water, hang dry.